The contagious joy of giving is a sentiment which Tayla-Anne Goss, Donor Relations Manager at Focus on iThemba, holds high especially during the festive season. “The significance of quality education and investing in our youth motivates our team and towards the end of the year we try and go the extra mile for the wonderful children in our partnering Pre-Schools and our eight iThemba Scholars,” explained Tayla. 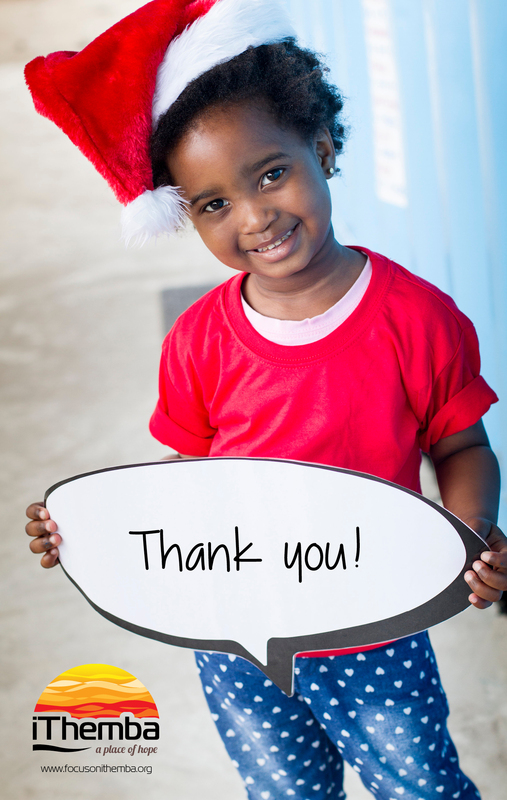 Collaborating with Wakefields, Pailpac, MAHLE Behr South Africa, KEY Foundation, the Hillcrest Methodist Church (Women’s Auxiliary) and Waterfall Preparatory our campus-based NPO is set to create many smiles this Christmas! The children at Waterfall Prep in the ‘Heart for Hope’ club have proven that age does not limit your ability to care and have been true kindness ambassadors throughout this year. “Their lovingly created gift boxes of joy will be distributed to children at Siyajabula Pre-School and the children will enjoy a party together. In addition, the Hillcrest Methodist Church (Women’s Auxiliary Division), with one member being a Granny from Waterfall Pre-Primary, created beautiful Christmas boxes for Entokozweni Pre-School complete with personalised notes. So much joy has been sprinkled and we are thankful for all these beautiful acts of kindness,” concluded Tayla.